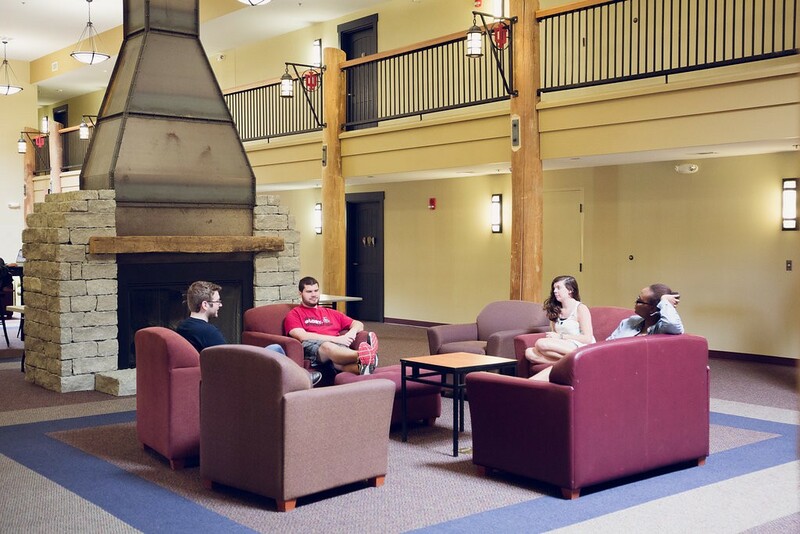 Students lounge in front of the fireplace inside one of the IU Southeast residence halls. NEW ALBANY, Ind. — Along with having one of the safest campuses and being one of the “Best Schools for your Buck,” IU Southeast can also boast some of the best residence halls in the country. IU Southeast ranks in the top 100 on Niche’s 2016 Best College Dorms list based on records from 1,713 public and private traditional 4-year colleges and universities across the United States. Niche based its rankings on student reviews and key statistics like average housing cost, housing capacity and student housing crime rate. Forest, Meadow, Woodland, Orchard, and Grove Lodges are home to about 400 students each year. Each lodge features apartment-style housing for students with a Great Room, computer lab, laundry and vending services, and study areas. Each apartment includes a full kitchen, bathroom, and living room. There are one, two, and four-bedroom layouts available. Apartments are fully furnished and come with basic cable and wireless internet. The lodges opened at IU Southeast in 2008. 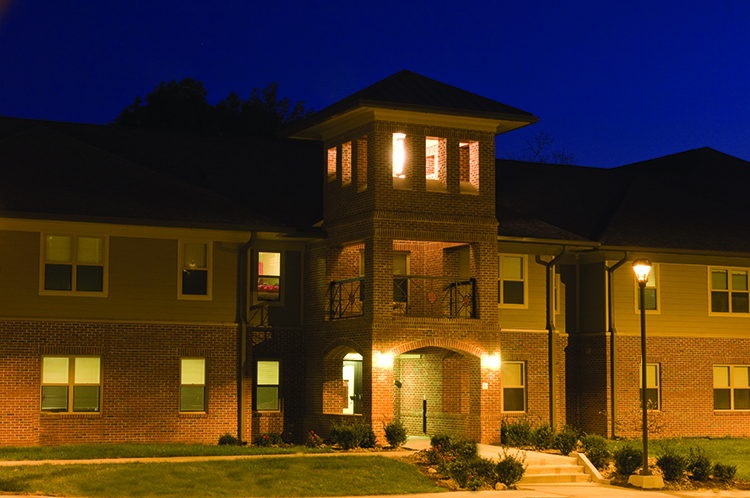 On-campus housing has helped the University increase retention rates and has improved the diversity of the student body. An IU Southeast lodge at night. 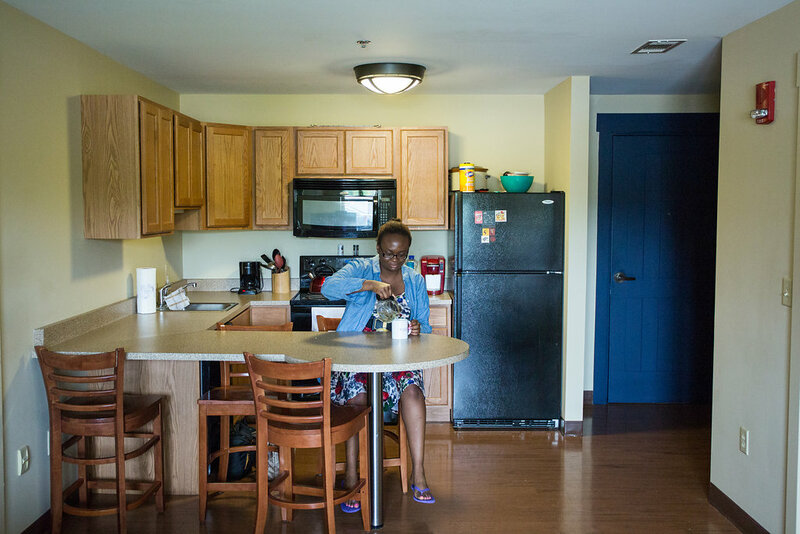 A student prepares coffee in one of the campus lodge apartments. 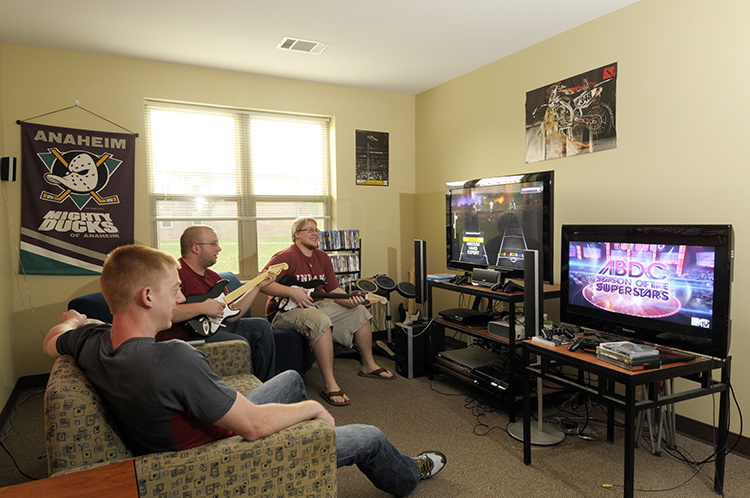 Students unwinding in a Meadow lodge apartment.